Researchers have identified a new class of antifungals to treat the more than 300 million people worldwide who develop serious fungal infections. The research is described in the current issue of mBio, the online open-access journal of the American Society for Microbiology. "Fungal infections are a significant cause of morbidity and mortality worldwide and current antifungal drugs have drawbacks. These new drugs may pave the way for the development of a new class of antifungals," said principal investigator Maurizio Del Poeta, MD, a professor in the Department of Molecular Genetics and Microbiology at Stony Brook University, Stony Brook, New York. Fungal infections are most commonly found in individuals with medical conditions that compromise the immune system, such as AIDS, or individuals who are being treated with immunosuppressives, such as those battling cancer. The three classes of antifungal drugs currently available--azoles, polyenes, and echinocandins--are far from optimal. "Even with treatment, the mortality rate of invasive fungal infections is over 50%," said Dr. Del Poeta. "The drugs don't work that well. They are toxic, so they affect other organs, and they are static, meaning they may be able to stop a fungus from replicating but they are not able to kill the fungus." Current antifungals also have a narrow spectrum of activity, and some interact with other drugs such as chemotherapy agents and immunosuppressants." Previous research has shown that when fungal cells lack a lipid called glucosylceramide (GlcCer), they are unable to replicate. Seeking to exploit this weakness and develop a new class of antifungals, an international group of researchers screened a synthetic drug library for compounds that target the synthesis of fungal but not mammalian GlcCer. "The enzymes that are important for the synthesis of fungal glucosylceramide are different than the ones important for the synthesis of mammalian glucosylceramide," said Dr. Del Poeta. "We thought that because the pathway is totally different, we could specifically target the fungal glucosylceramide without affecting mammalian glucosylceramide, and that is exactly what we did." They identified two compounds, BHBM and its derivative DO, that decreased levels of fungal but not mammalian glucosylceramide. In test tube and animal studies, these compounds were highly effective against several pathogenic fungi and were well tolerated in animals. The drugs were effective when used alone or in combination with other classes of antifungals. The researchers plan to spend the next five years fine-tuning their research and identifying even more effective compounds that inhibit fungal glucosylceramide. Serious fungal infections cause 1.3 million deaths annually worldwide. The most common and life-threatening fungal infections are cryptococcosis, candidiasis, aspergillosis, and pneumocystosis. The NHS Pharmaceutical Micro Protocols Group has produced some very detailed and careful piece of work, led by Tim Sizer and Mark Oldcorne, in relation to the Aseptic Transfer Processes and the use of sporicidal disinfectants. 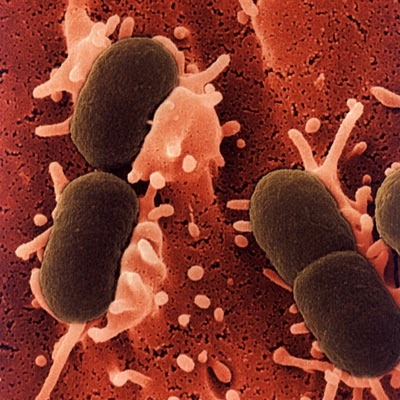 From the findings of the work of the Micro Protocols Group, the most important thing to note is that the presence of any viable organisms in the Grade A environment, and bacterial spores in particular, poses a very real risk of contamination for aseptically prepared products and a significant potential for patient harm. In practice, with the diligence of operators, the use of ‘closed systems’ and the application of good technique, the likelihood of product contamination is low, but the consequences can be severe. 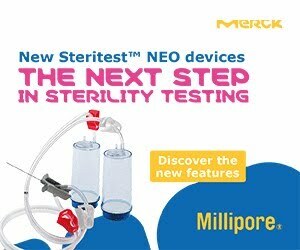 The Micro Protocols Group has concluded that it is necessary for all NHS aseptic units to heed the warnings and apply the MHRA Guidance, improve technique and incorporate additional measures to enhance the sterility assurance of aseptic preparation. The main document is “Guidance for Aseptic Transfer Processes in the NHS: Addressing Sporicidal Issues”. This Yellow Cover Document explains the need, outlines the risks and points the way to best practice. There are also tables of the available products, stability considerations and health and safety issues. The chemistry is also explained. A copy is displayed below. This guidance describes those sections in a common technical document (CTD)- formatted application that typically contain information that meets the definition of established conditions, and provides considerations for managing and communicating changes to the approved established conditions over the lifecycle of an approved product. 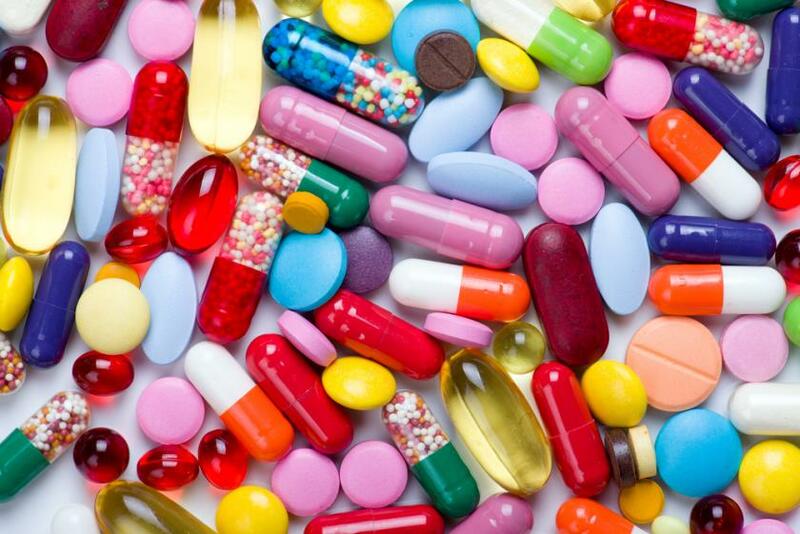 The European Medicines Agency (EMA) has published the list of active substances and a reference to the journals that will be covered by its new medical literature monitoring service. This service will start with a limited number of active substances on 1 July 2015 and will be fully rolled out in September 2015. A guide, a training video and a document detailing the inclusion and exclusion criteria to be used when screening the literature are also available on a dedicated webpage. Medical literature is an important source of information on suspected adverse reactions reported on medicines. The European Union's (EU) pharmacovigilance legislation has given EMA responsibility for the monitoring of selected medical literature for a defined list of active substances used in medicines and for entering identified reports of suspected adverse reactions in EudraVigilance, the EU adverse drug reaction collection and management system. This initiative aims to improve the safety monitoring of medicines by enhancing the quality and consistency of data reported in EudraVigilance. It is provided as a service to industry which, for the active substances and literature covered by the EMA activities, will no longer be obliged to enter the information on suspected adverse reactions into EudraVigilance. Individual cases of suspected adverse reactions found in the literature will be made available to marketing-authorisation holders so they can include them in their safety databases and meet their reporting obligations outside the European Economic Area. The Academy is a PIC/S initiative to set up a web-based educational centre under the PIC/S umbrella which aims at harmonising and standardising GMP training at an international level through an accredited qualification system. Exposure by infants to the typical bacteria found in the gastrointestinal tract may protect a person, in later life, from autoimmune disease. To date, this theory is based on studies carried out using a mouse model, and this is outlined in some recent research. The researchers argue state that their evidence backs the 'hygiene hypothesis.' This theory puts forward the idea that the marked increase in autoimmune and inflammatory diseases since the 1950's. is the direct result from changes in our exposure to microbes which occur in childhood as a result of reduced exposure to the less than sanitary conditions. Doctors Without Borders/Médecins Sans Frontières (MSF) began its response to the largest Ebola outbreak in history in March 2014 and, despite progress made in the fight against the virus, Ebola stubbornly lives on in Guinea, Sierra Leone and Liberia, where more than 27,678 people have been infected and 11,276 have died. For the past eight weeks, the number of cases in the region has held at around 30 new infections per week, a number that would be considered a disaster in normal circumstances. "We have seen so many reports calling for change, with everyone focused on how to improve future responses to outbreaks," said Dr. Joanne Liu, MSF international president. "Meanwhile, with new Ebola cases each week in the region, we still don't have the current epidemic under control. We went from global indifference, to global fear, to global response, and now to global fatigue. We must finish the job." In Guinea, active chains of transmission persist in Conakry, Boké and Forecariah. About 12 to 18 new cases of Ebola are identified per week. "Ebola cases continue to go undetected for too long, with 25 percent of positive cases identified after death in their communities in the past three weeks," said Anna Halford, MSF emergency coordinator in Guinea. In Conakry, MSF has moved from its previous Ebola management center in Donka to a new facility in Nongo and is continuing outreach activities across the city in order to combat rumors, fear and fatigue. "We are aware everyone is tired," Halford said. "The national authorities are tired—they have been working on this non-stop and they just want the outbreak to end. The people of Guinea are tired of the uncertainty and fear. After more than a year of responding to Ebola, we too are tired but the outbreak is not over and we cannot let up until we reach zero." In MSF's Nongo facility, patients have the option to receive plasma donated by survivors of Ebola which, after a trial enrolling 101 patients over the past few months, has been shown to have no ill effects. The results of plasma's efficacy are not yet publicly available, but MSF hopes they will be released by the researchers in the coming weeks. In response to the recent outbreak in Boké in northern Guinea, MSF's opened an Ebola management center on July 3. There is a risk of further geographic spread into neighboring Guinea-Bissau, where MSF is helping prepare for the possibility of an imported case by facilitating training of health staff and prepositioning supplies for an Ebola response. In Sierra Leone, the number of Ebola cases continues to fluctuate with 14 cases recorded in the past week and hotspots persisting in Western Area (Freetown), Port Loko, and Kambia districts. Freetown has seen a recent flare of Ebola with ten confirmed cases recorded in Sierra Leone's Western Area last week, the highest weekly total since March. MSF runs Ebola maternity center in Hastings, with obstetric services specifically for Ebola-positive pregnant women in need of care. However, as other Ebola management centers in the city are reaching capacity, MSF´s maternity Ebola management center in Hastings is now also taking in non-pregnant suspected and confirmed Ebola cases, with six patients currently admitted. Additionally in Freetown, MSF teams are focusing on outreach and surveillance activities, working in collaboration with the District Ebola Response Committee that responds to new cases and follows up with patients' contacts throughout the 21-day Ebola incubation period. "It is essential that any suspect case is followed up with a coordinated response, including thorough case investigation, and the identification and follow up of contacts for 21 days," said Jose Hulsenbek, MSF head of mission in Sierra Leone. "Throughout this process, engaging the community is the key to success in breaking the transmission of the disease." MSF continues to operate an Ebola Management Center in Bo District, covering the southeastern part of the country. Though no positive cases have been seen for some months, the center receives suspected Ebola patients each week as part of the ongoing need for proper surveillance. The team also visits neighboring districts to monitor surveillance activities. With no patients for the last two months, MSF's Ebola management center in Magburaka has closed. However, a small team remains in Magburaka and is in the process of opening a clinic offering health services to Ebola survivors. "It is clear that the work to improve health care in Sierra Leone will not end with the epidemic," said Hulsenbek. "Even before Ebola, Sierra Leone suffered from an acute shortage of skilled staff, limiting access for the population to key lifesaving services. After the loss of more than 220 health workers to Ebola, there is a real need, not for just funding and promises, but for skilled clinicians on the ground across the country." Sadly, after being declared Ebola-free on May 9 following 42 days with no new infections, Liberia is again recording cases of Ebola. "Though disappointing, the re-emergence of Ebola in Liberia is not altogether unexpected," said Carissa Guild, medical manager of MSF programs in Liberia. "The risk of new cases still exists as long as the virus is present in the region." The virus was detected in the swab of a deceased 17-year-old boy on the outskirts of the capital, Monrovia, and has since spread to five other people. "These new cases show that vigilance is still key across the region, even in areas declared Ebola-free. We cannot relax until Ebola has been stamped out in all three countries," said Guild. At this time, MSF is not directly involved in the patient care or investigation of the new cases in Liberia, but remains ready to support the Ministry of Health should they require it. MSF is currently running a 69-bed pediatric hospital in Monrovia to help restore the secondary health system, which, like those in Guinea and Sierra Leone, has been paralyzed following the deaths of hundreds of health workers. On the grounds of the hospital, MSF also runs a clinic specifically for Ebola survivors who suffer from a number of health complications following their recovery from the virus. "Going from hundreds of cases to 30 per week took considerable time and massive resources, yet getting from 30 to zero requires the most meticulous, difficult work of all," said Dr. Liu. "No one was prepared for the scale of this epidemic, the largest in human history, nor that it would last so long. But we cannot lose focus now and must push on until the entire region is declared Ebola-free." MSF currently employs 92 international and 1,760 local staff in Guinea, Liberia and Sierra Leone and has cared for 9,626 people, including 5,149 confirmed to be infected with Ebola, since March 2014. This update can be found online here. Flow cytometry (FCM) studies have been used for the quantification of microbial cells in drinking water. A recent study has shown that drinking water contains100 to 10,000 times more living cells than the conventional plate count method would suggest. 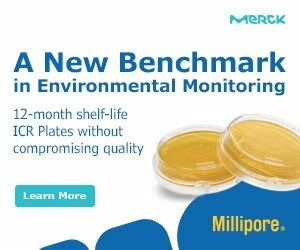 The microbial content of water is normally assessed using the heterotrophic plate count (HPC). The HPC method involves growing any bacteria present in a sample of water onto solid nutrient media (incubated at a warm temperature), and the colonies formed are then counted. The weakness with the HPC method are the incubation time and the fact that only a fraction of the living cells actually present in samples are counted (the so-termed ‘viable but non-culturable’ microorganisms). 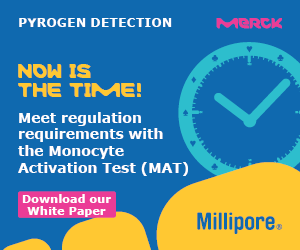 The utilisation of FCM methodology can be used to determine, more accurately, the total cell count in a water sample within a matter of minutes. FCM works by staining any cells contained in a sample with fluorescent dyes, which bind to DNA. The cells are then passed in single file through a glass capillary, where they are exposed to a beam of light from a laser. The resultant scatter and fluorescence signals are picked up by detectors, and analytical software is used to classify each individual particle (cell). To read more about this technology and the associated research, visit EAWAG: Swiss Federal Institute of Aquatic Scienceand Technology. 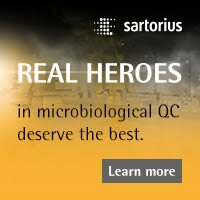 Despite the optimism surrounding two first-in-class products, Sanofi Pasteur’s live-attenuated dengue vaccine, CYD-TDV, and GlaxoSmithKline’s (GSK’s) adjuvanted subunit malaria vaccine, RTS,S/AS01, vaccination alone is not a viable long-term solution for combatting these infectious diseases, says an analyst with research and consulting firm GlobalData. According to Christopher J. Pace, Ph.D., GlobalData’s Managing Analyst covering Infectious Diseases, some industry pundits rightfully question the modest protective efficacies of CYD-TDV and RTS,S/AS01. Immunization must therefore be leveraged alongside vector control strategies, national and international surveillance programs, and public awareness campaigns as part of integrated disease prevention and control initiatives. Pace explains: “Upon their anticipated approvals in late 2015, both Sanofi Pasteur’s CYD-TDV and GSK’s RTS,S/AS01 have the potential to begin providing long-awaited relief to billions of people living under the constant threat of dengue and malaria. At the very least, they represent landmark advances in the development of vaccines against these serious arthropod-borne illnesses. The analyst adds that renewed vector control efforts, from established methods such as mosquito nets and insecticides, to emerging microbiological and genetic techniques, are especially important to curtailing dengue and malaria transmission. Pace continues: “There are a number of novel tools on the horizon that will complement vaccines, most notably improved insecticides and innovative microbiological (Walbachia, Chromobacterium [Csp_P]) and genetic (sterile male) vector control technologies, as well as more potent antivirals for dengue and antiparisitics for malaria. “The cost of these vaccines will also emerge as a key issue, as both dengue and malaria primarily affect the developing world. Ultimately, GSK and Sanofi Pasteur must work with other stakeholders to champion innovative pricing strategies and encourage vaccine uptake as part of integrated surveillance, prevention, and control programs to maximize each product’s public health benefit and commercial potential,” the analyst concludes. In this post, I'm taking an overview of some of the recent initiatives in the hunt for new antibiotics and antibiotics alternatives. The development of so-termed 'resistance breakers' - compounds designed to help existing antibiotics to work better. 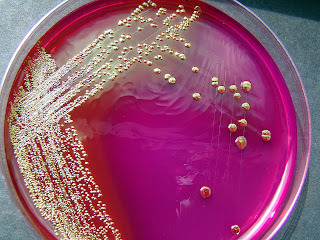 To read about these innovations, see my post at the website Disease Biology Info. The WHO GMP for biological products (proposed to replacement of TRS 822 annex 1 has been submitted to Expert Committee on Biological Standardization and accepted as a BS document WHO/BS/2015.2253 and posted on WHO biological website to invite public comments. A Comment Form is downloadable from the website below to the document. "This document is intended to serve as a basis for establishing national guidelines for GMP. The main principles and recommendations for manufacturing biological products are provided. If a national regulatory authority (NRA) so desires, these guidelines may be adopted as definitive national requirements. It is possible that 25 modifications to this document may be justified due to the risk benefit balance and legal considerations in each authority. In such cases, it is recommended that any modification to the principles and technical specifications of these guidelines should be made only on the condition that the modifications ensure product quality, safety and efficacy that are at least equivalent to what is recommended in these guidelines." Here is a direct link to the document. 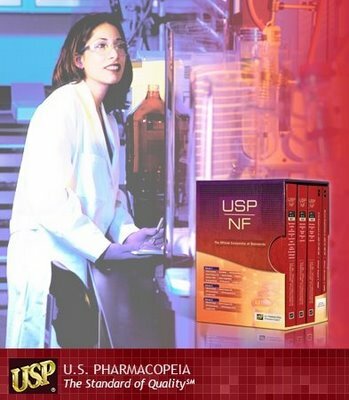 USP proposes a revision to this chapter to update and clarify definitions related to proper packaging and storage. The revision proposal harmonizes some terminology for consistency with other pharmacopoeia and explicitly permits more calibration options. There are no revisions to the instrument performance requirements or calibration procedures. This chapter is proposed for omission from USP. A new general chapter, Biological Indicators for Sterilization <1229.5>, has been proposed in PF 41(2) as part of the new series of chapters on sterilization. The chapters impacted are Sterilization and Sterility Assurance of Compendial Articles <1211>, Pharmaceutical Compounding—Sterile Preparations <797>, and Sterility Testing—Validation of Isolator Systems <1208>. In these chapters, references to <1035> will be replaced by <1229.5>. The Introduction is being modified to include the classification of instruments previously included as a separate section. Several other modifications are introduced in Qualification Phases under Analytical Instrument Qualification Process. Changes are also proposed under Roles and Responsibilities, Software Validation, Change Control, and AIQ Documentation. The Instrument Categories section is being deleted. A new Glossary is being added. This revision proposal deletes the option of the Oxidizable Substances test, and retains the Total Organic Carbon test that is specific to sterile waters.